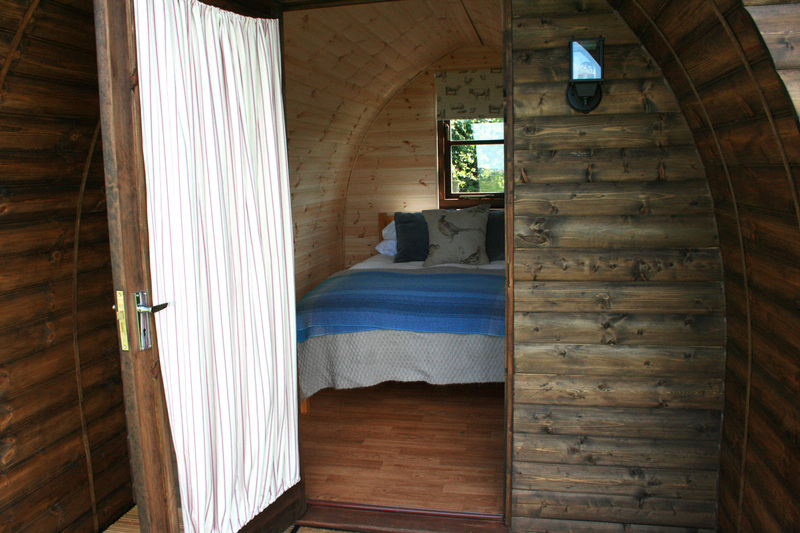 We have three wooden glamping pods or cabins, hand-made in the UK and fully insulated. 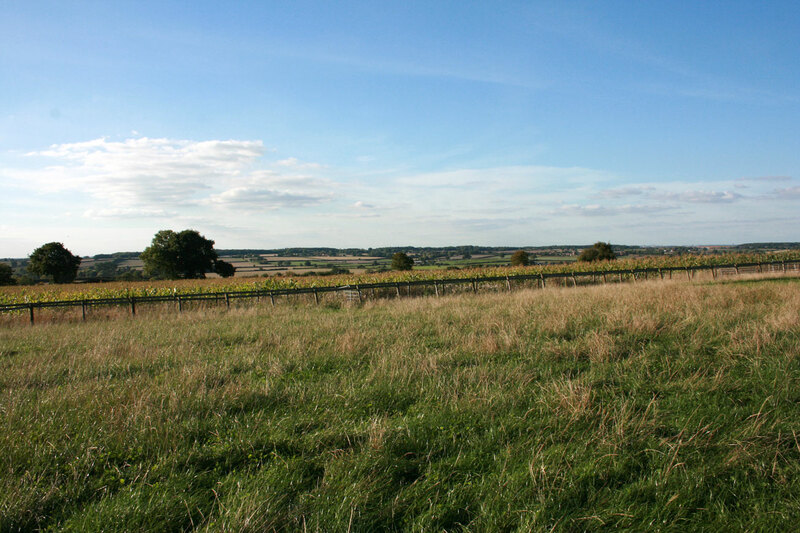 Think of them as a ‘home-from-home’ situated on our hill top perch in the stunning Warwickshire countryside. 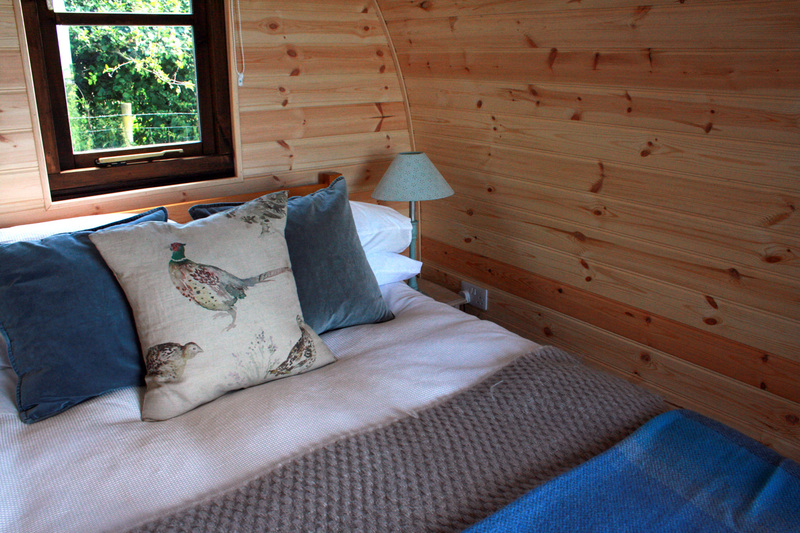 Two of our cabins sleep up to four people and are ideal for two adults and two children and one cabin sleeps two, so is the perfect choice for couples. 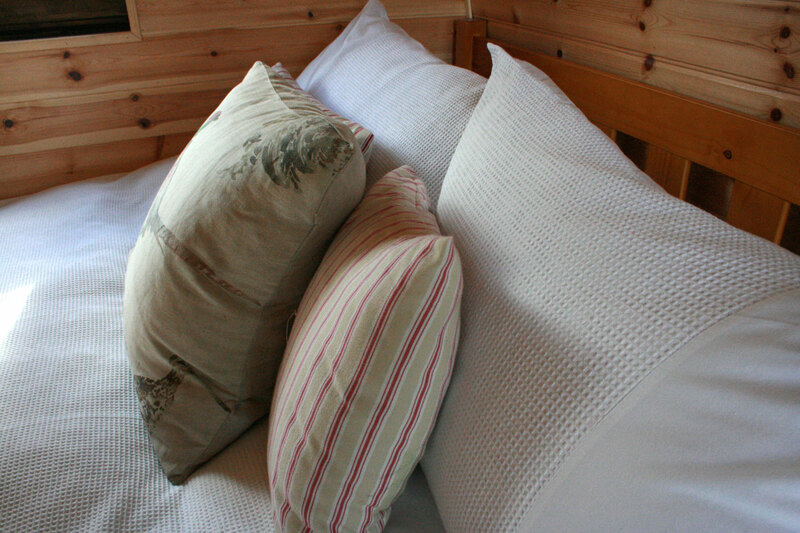 They all have double beds – carefully selected for comfort – and feather down duvets to keep you extra cosy. 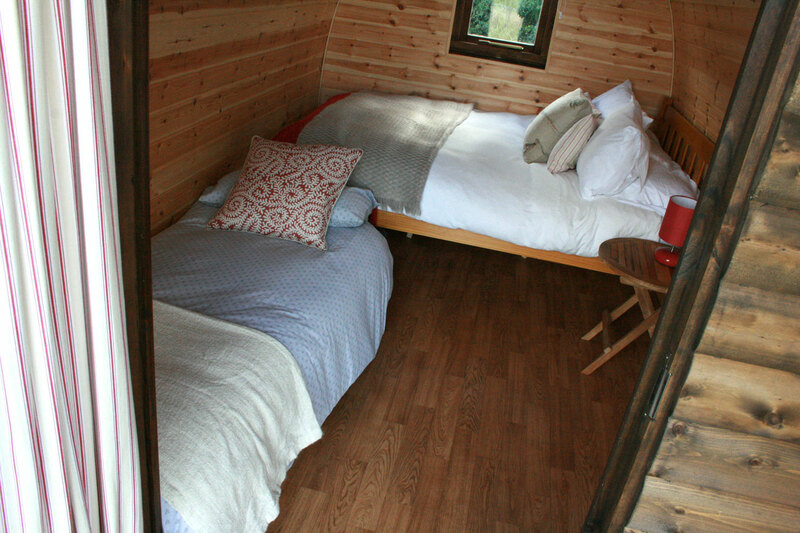 They also have electricity and lighting for those of you who enjoy the little luxuries in life! 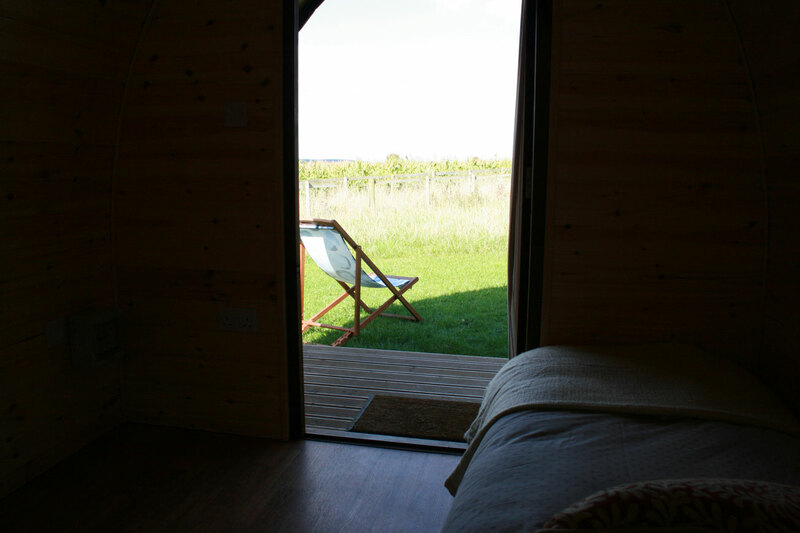 They come with a porch and deck chairs so you can sit back and take in those views. 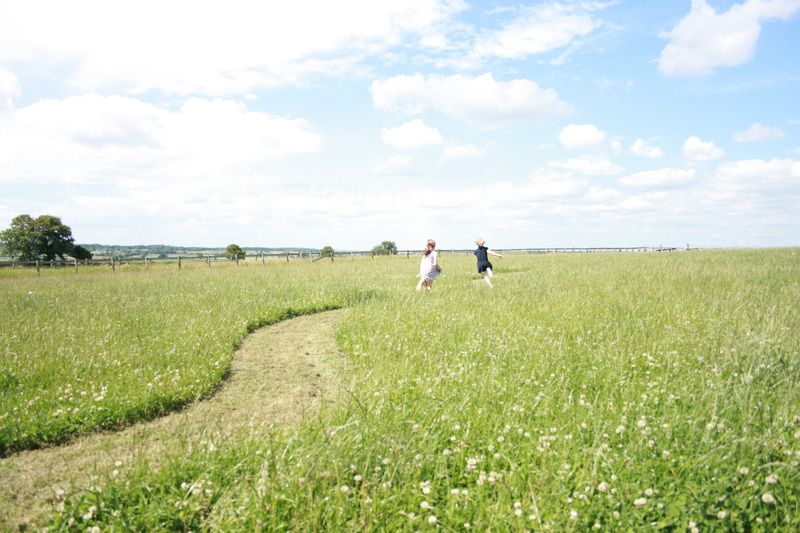 Sorry folks, but there is no wifi, you will have to use the time away to get off the grid and relax. 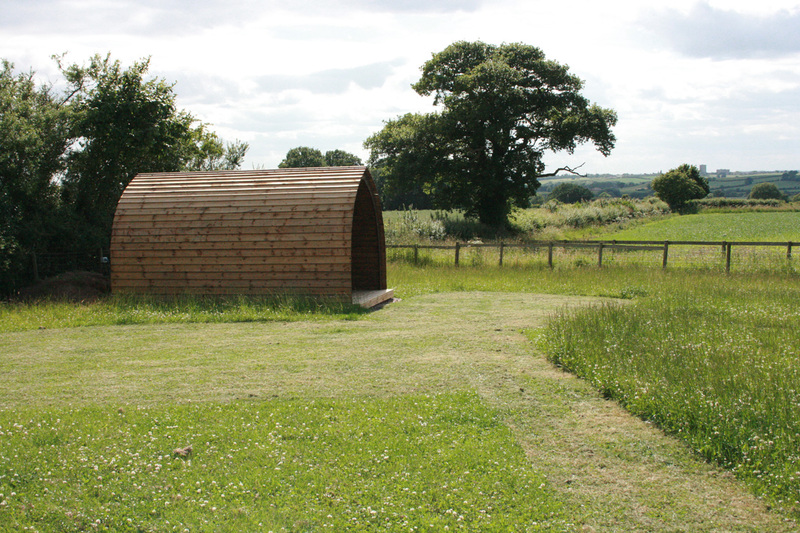 Whatever the time of year, our glamping cabins will be a great choice for your stay. 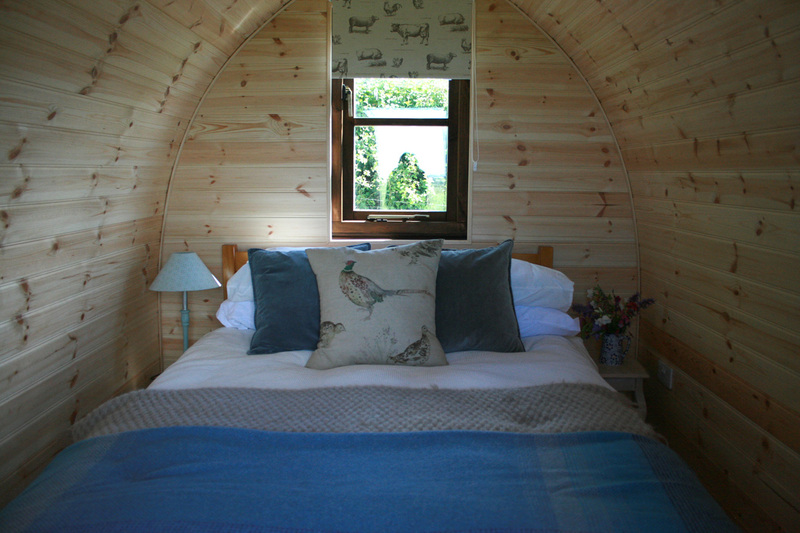 Ready to book one of our glamping pods? 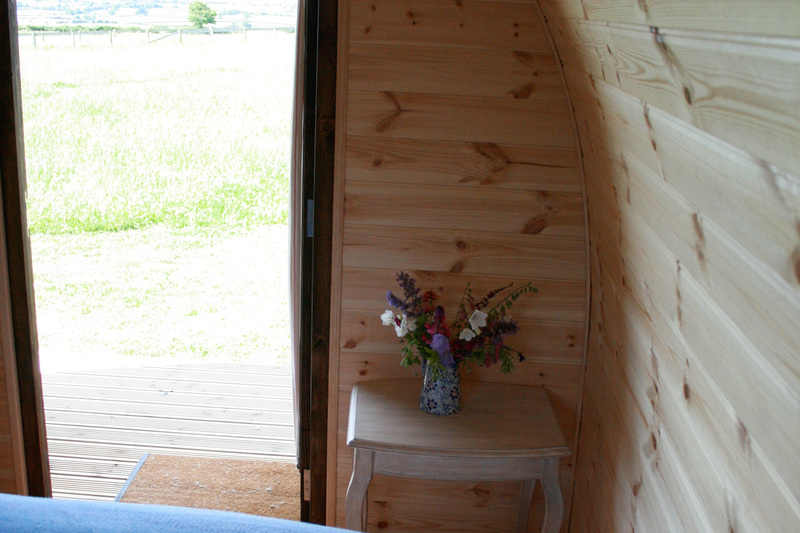 Our luxury glamping pods are an affordable glamping experience second to none! 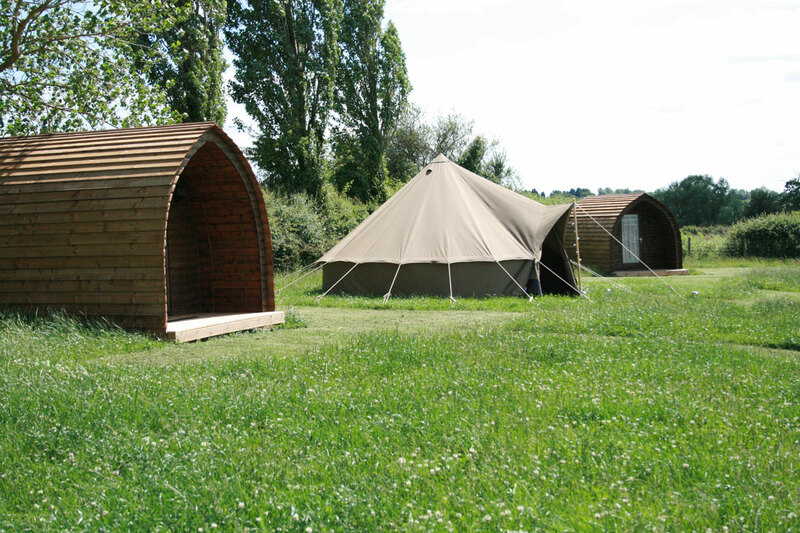 There’s no better way to get that sense of sleeping under the stars – but all the while enjoying a little luxury. 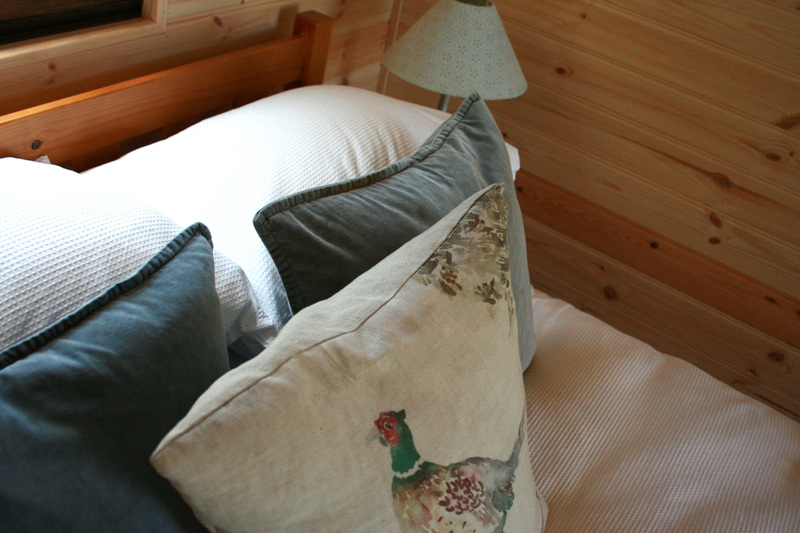 To make a booking please select from the drop down menu Cabin Classic (sleeps 2) or Cabin Superior (Sleeps 4) then select your preferred dates. 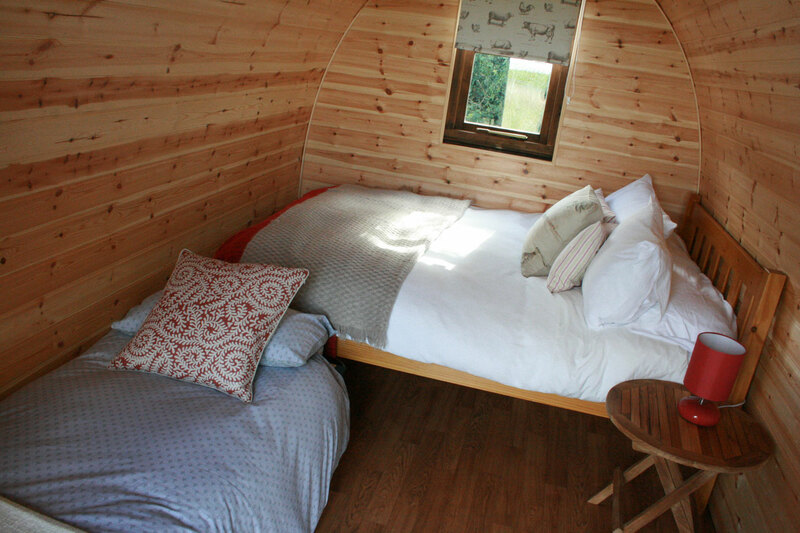 Do you have any questions about our cabins & glamping pods?